The Premam director also says that they did a lot of study for the characters and the story has multiple layers to it. Naga Chaitanya’s Savyasachi has a unique element in the script – the lead actor is ambidextrous. Meaning he will be able to both his hands with equal power and skill. Director of Savyasachi Chandoo Mondeti says that he came across so many articles and stories about people who are ambidextrous besides doing some extensive research during the scripting stage. “It is one of the names of warrior Arjuna, as he could draw a bow with equal dexterity, speed and strength with both hands. Very few people are ambidextrous, but they can write accurately with both hands. I came across a few stories and articles which convey that a man’s character and behaviour are predetermined. Whether a person reacts or not to a situation is based on his character. While I began extending my thoughts after reading such articles, I came across such unique people, and also a few funny scenes; that when I named the character Savyasachi,” Chandoo Mondeti was quoted as saying by The Hindu. The Premam director also says that they did a lot of study for the characters and the story has multiple layers to it. 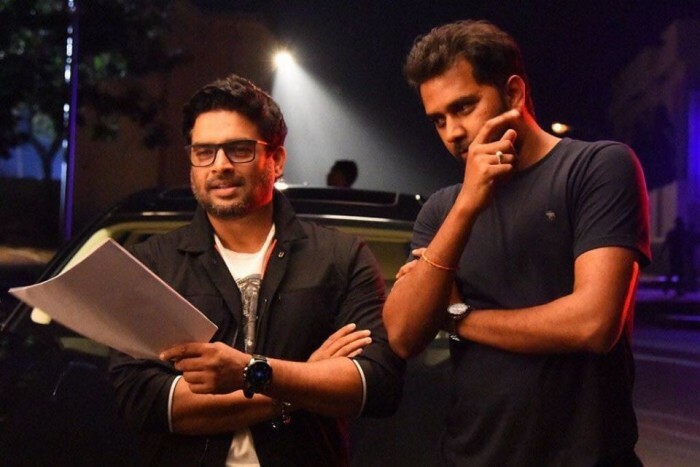 “The story has multiple layers — there is Madhavan episode, Chaitanya likes his sister and her daughter; a sub plot shows the relationship between Madhavan and him. How the hero uses his ambedexterity to his advantage is interesting and how the same quality troubles him is amusing,” Chandoo added further.